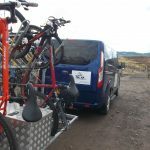 SLM Cycle Transport | Cycle Transport Service Scotland | Cycle transport Scotland. 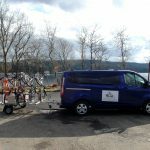 Cyclist transport services to Inverness, Fort William, Oban, Ullapool, Durness, John O'Groats, Bonar Bridge, Perth, Aviemore, Aberdeen, Glasgow & Edinburgh. 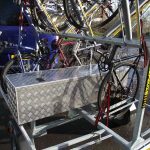 At SLM Cycle Transport, we offer the facility to transport up to 7 cyclists, bikes and luggage to wherever they need to be. 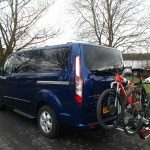 Our goal is to provide you with a reliable bespoke transport service that will make your outing more comfortable and enjoyable. 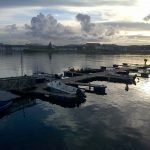 Our base is in Lanarkshire, Scotland and we are excellently placed to cover Scotland and the North of England. 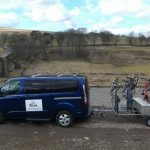 These areas provide some of the best on or off road cycling opportunities in the UK - whether it’s following the Sustrans network and routes across the country or your own individually planned route. 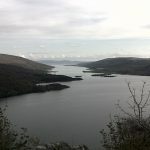 Scotland and the North of England also offer some fantastic mountain biking challenges. 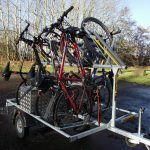 These range from simple family friendly Forestry Commission tracks through to highly technical world class trails at Nevis Range near Fort William. 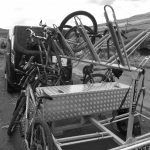 Although we cannot push the pedals for you, we can get you and your bike to where you want to start from or collect you after a satisfying day (or longer!) in the saddle. 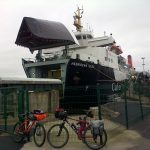 If you are flying into Glasgow or Edinburgh airport to experience Scotland by bike then we can meet you and take you to your preferred start point. 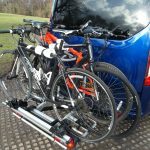 Alternatively, you may want to take your bikes with you on holiday within Scotland but have no room left on your vehicle. 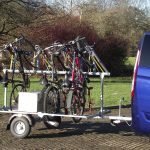 It may be more cost effective to allow us to transport your own bikes to your destination and bring them back home at the end of your holiday. 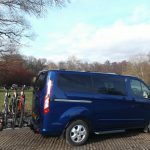 We provide the service using a comfortable modern minibus and purpose-built trailers. 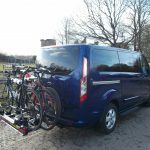 We want to help and support you enjoy your cycling by offering a quality transport service that can be fully customised for your cycling group according to your requirements. In addition, whatever its size, age and value we will always treat your bike with care and as if it were our own. 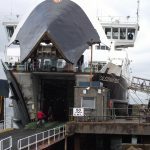 Of course, you don’t need to be a cyclist to take advantage of our service. 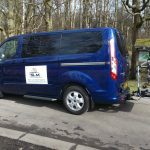 We are also happy to provide a minibus service for up to 7 passengers such as golfers, hillwalking groups and tourists. 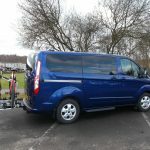 If required we can also provide an airport transfer service or a minibus service for one-off special events. Just go to our Transport For Other Activities page for more details. 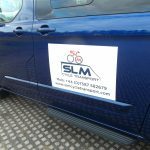 Contact us on 07587582679, email info@slmcycletransport.com, or fill in the enquiry form below and we'll get back to you.